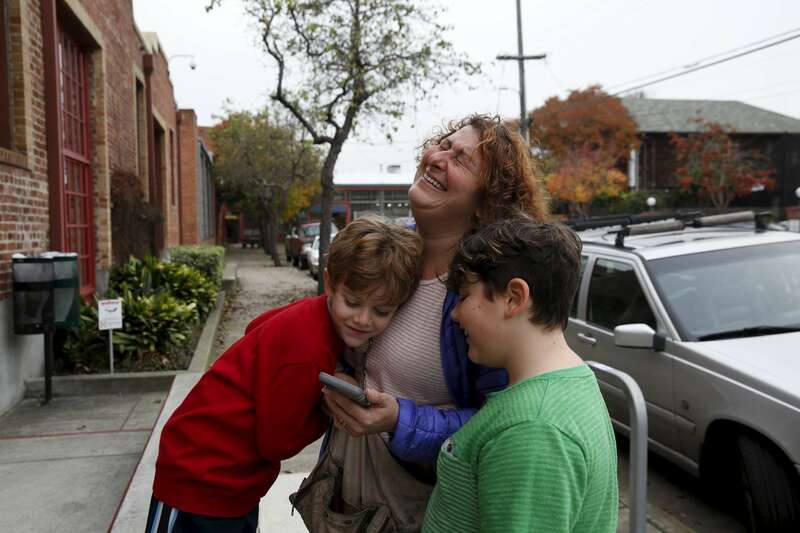 Sara cracks up with her children Charley, 4, left, and James Kaplan, 9, before the two of them went into their play-therapy sessions Dec. 13, 2016 in Berkeley, Calif. Since the reporting of this story, Charley has been living as a girl. She is wearing dresses, growing her hair out and has taken a more feminine name.